Before the UEFA tournament changes will be rather modest, but not cheap. 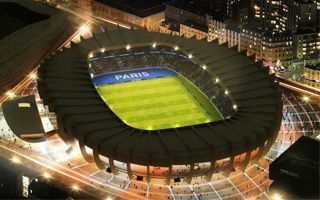 With a budget of €75 million for the project, Parc des Princes will increase its revenue potential significantly. As indicated in mid-2012, the renovation ahead of Euro 2016 won't see revolutionary changes at Parc des Princes. Le Parisien on Monday published the very first exclusive renderings of what's coming to Paris for the 2015/16 season. In short, the alterations may be summed up as infrastructural, not structural. The concrete shell remains untouched as demanded by mayor of Paris, while hostpitality spaces will increase by 50%, from 3,000 seats to 4,500. A new restaurant, skyboxes and other amenities are planned for those paying most for their matchday at Parc des Princes. Average supporters of PSG will also notice the changes as the signage, catering and sanitary installations will be upgraded. This may not seem like a lot, but the projected budget stands at €75 million, covered entirely by the club. More significant changes are expected after the tournament. Entries to the ground will be changed, including a new esplanade. New owners still hope to expand the stadium up to 60,000.